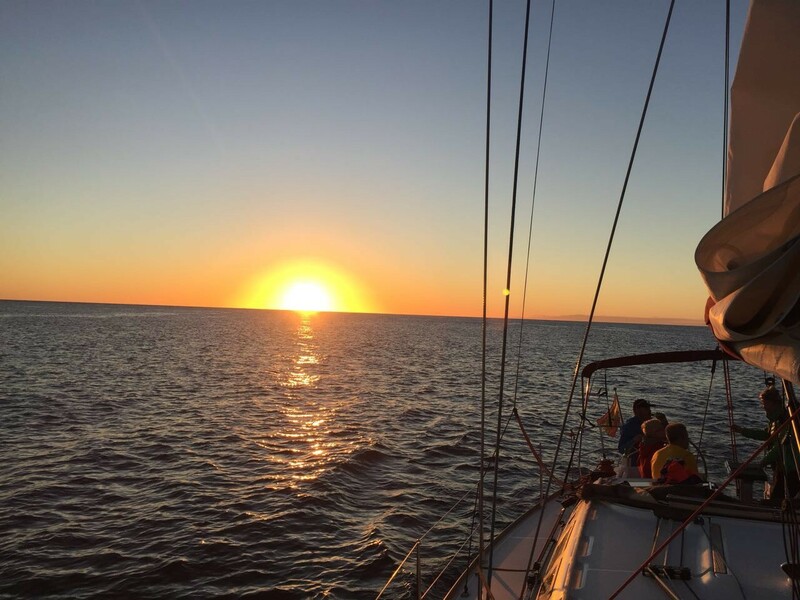 Sign up for a spectacular ride! 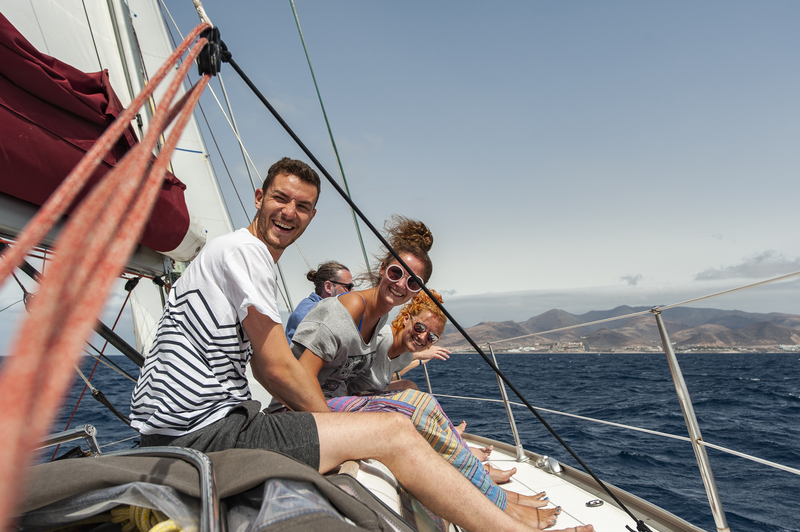 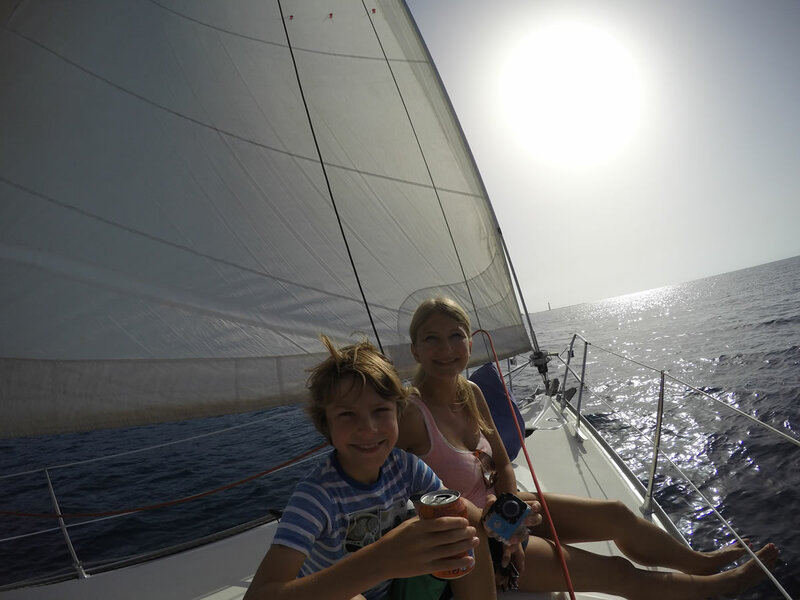 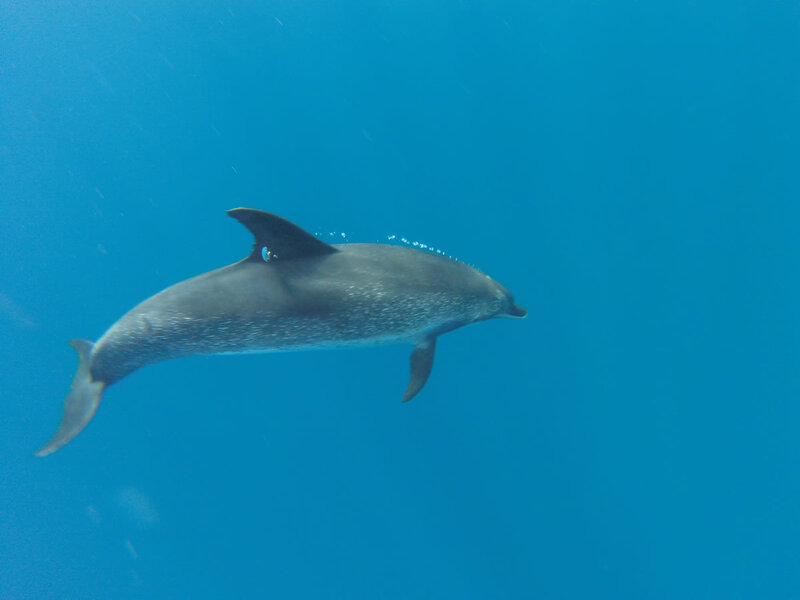 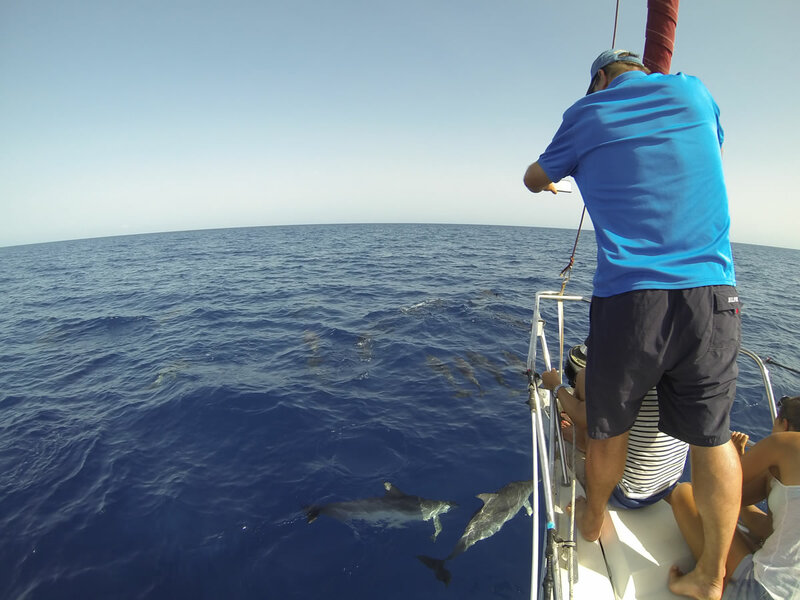 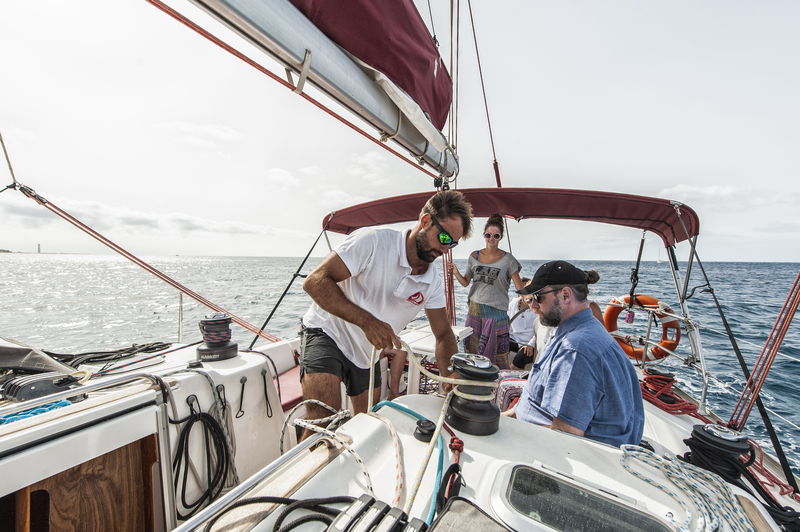 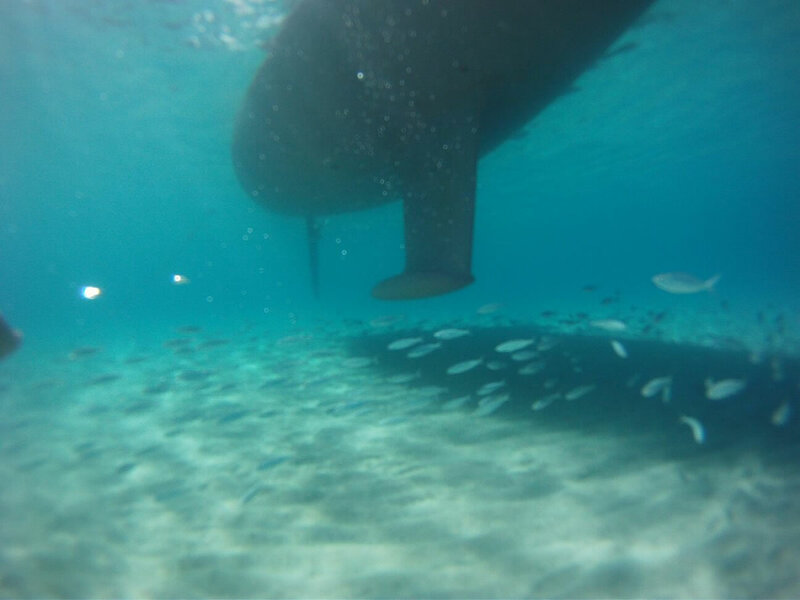 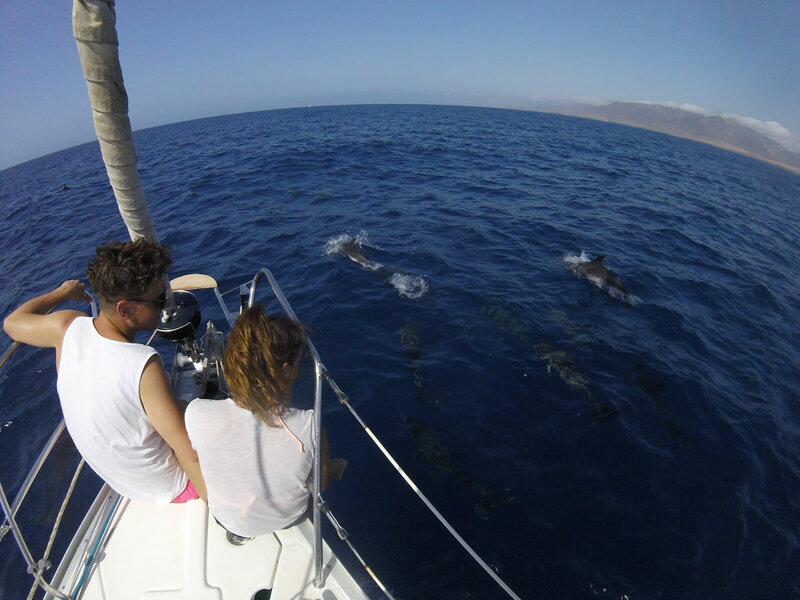 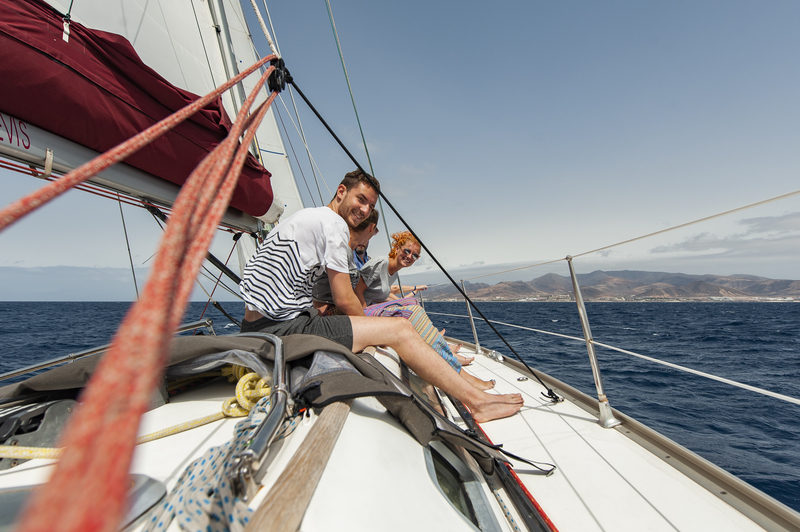 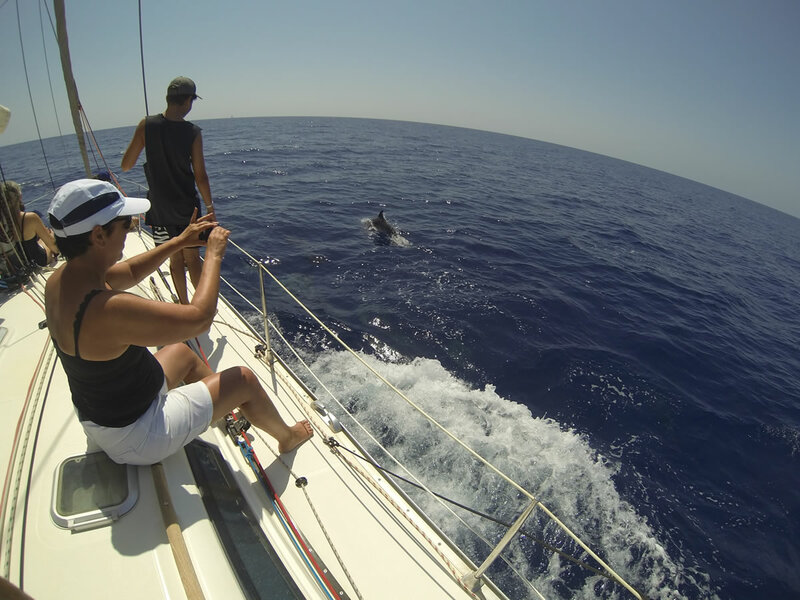 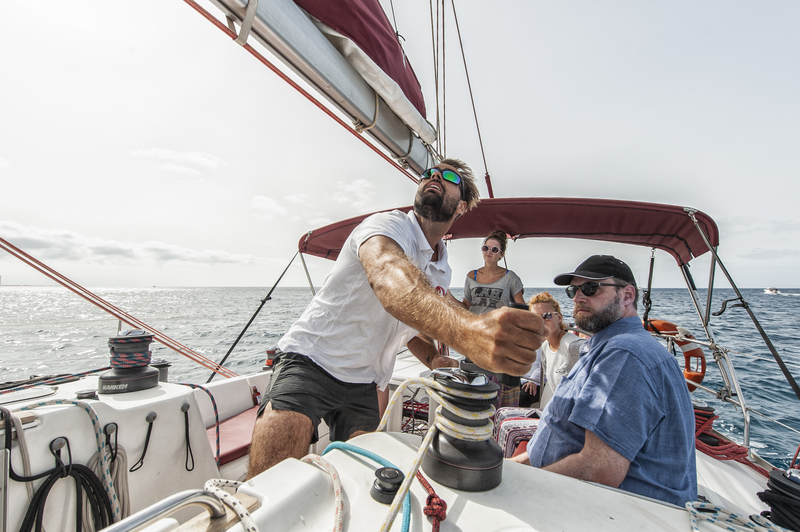 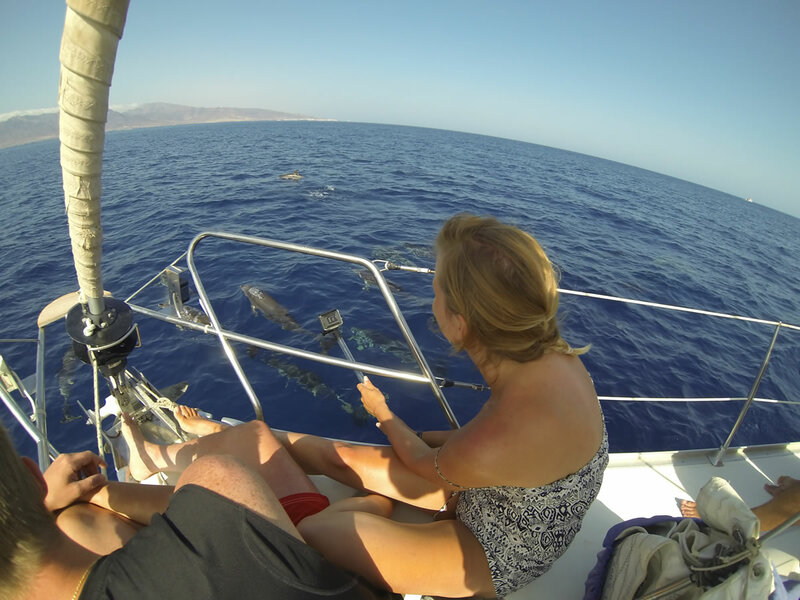 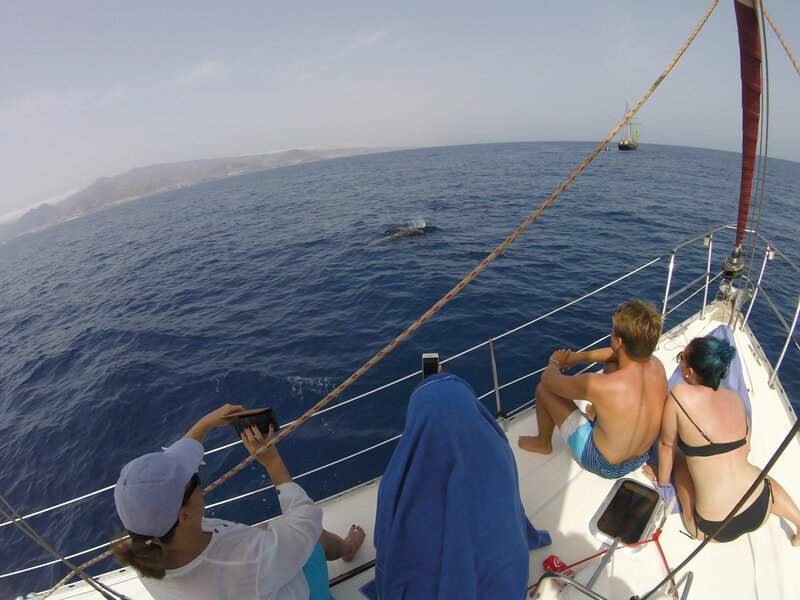 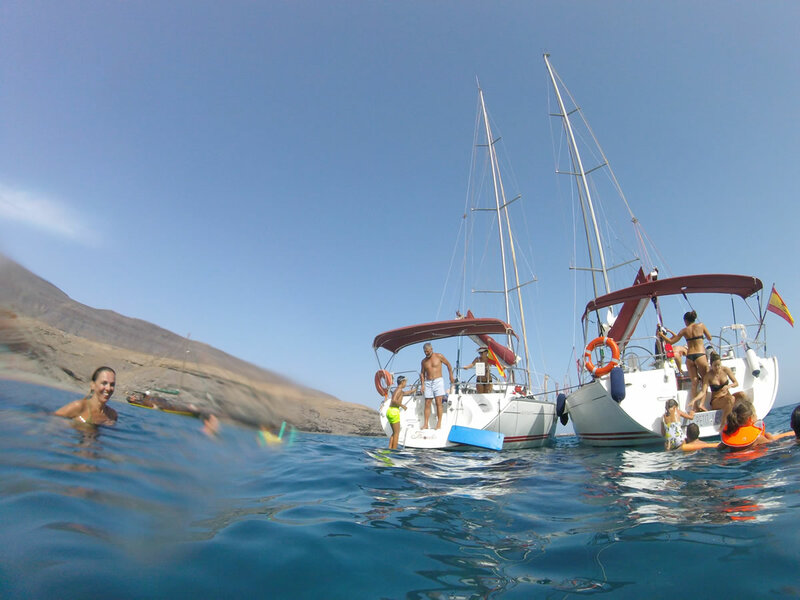 Join us on our sail for a wildlife dolphin watching, after swimming in crystal clear waters, diving into them and enjoying a fantastic snack in the unique setting of the waters of Fuerteventura. 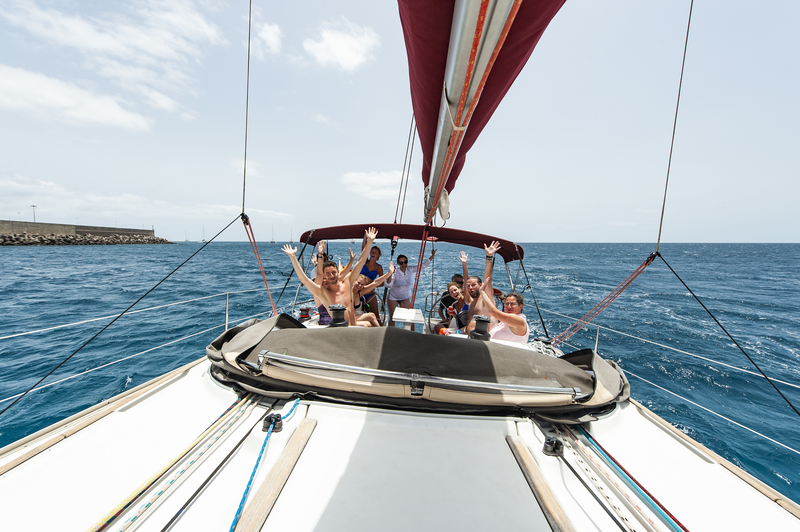 A memorable adventure that will stay with you and your loved ones for life. 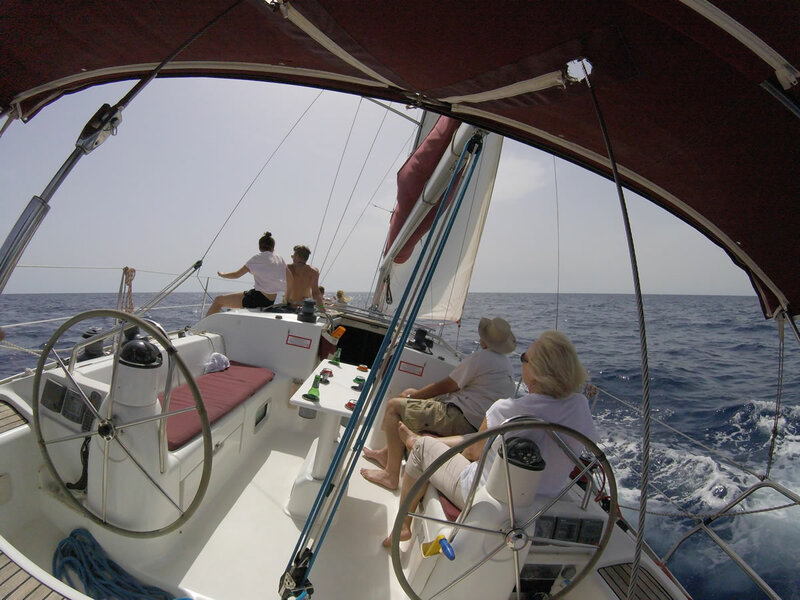 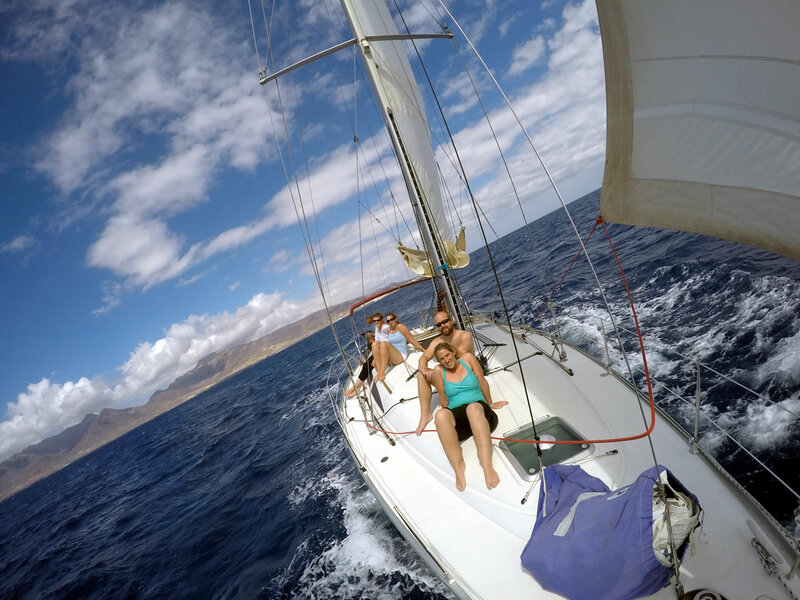 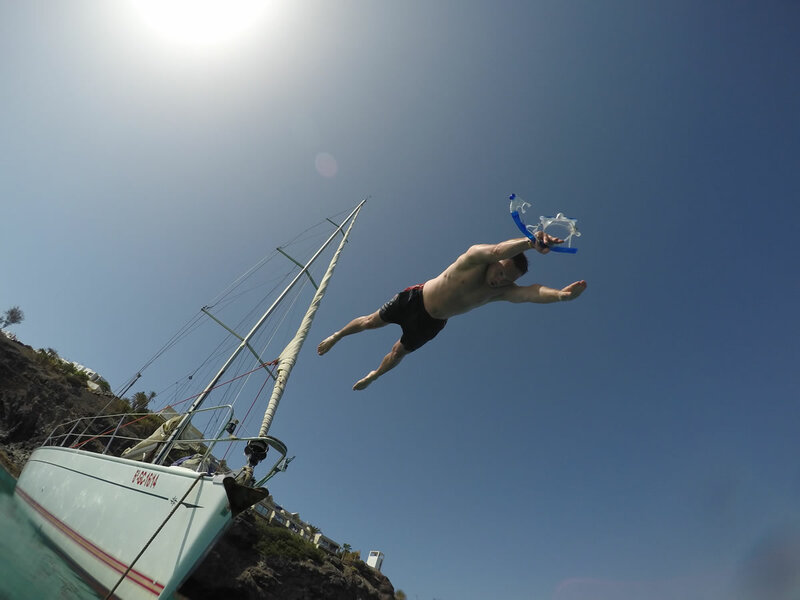 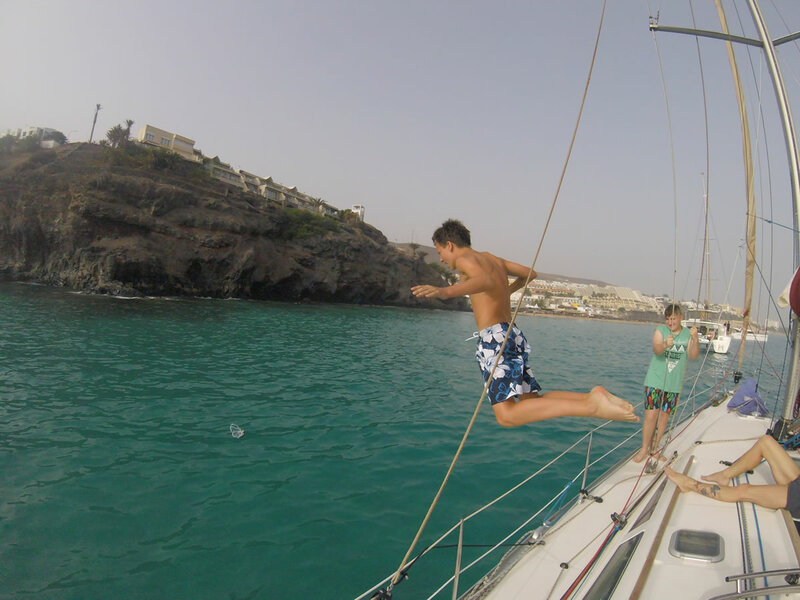 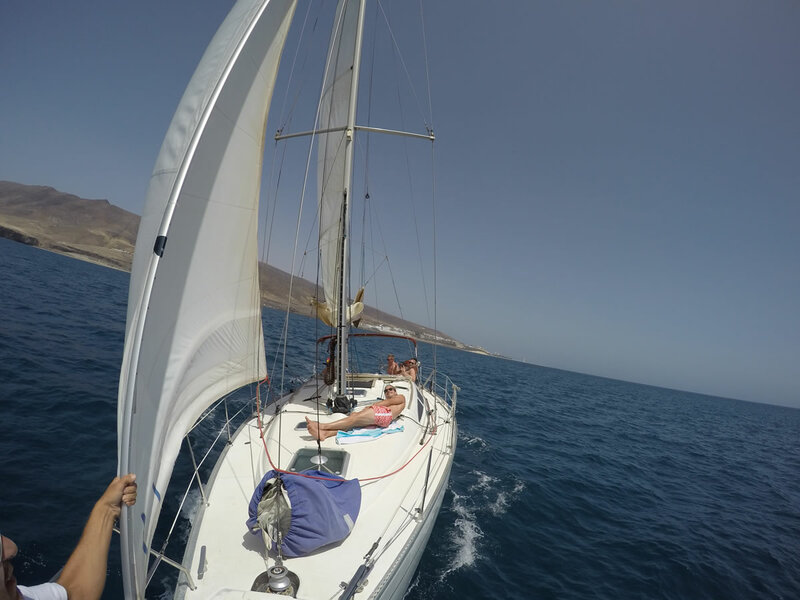 The ‘Flounder’ is a top-equipped Jeanneau Sun Fast sailboat with a length of almost 40 feet & offers its passengers (both professional and amateur sailors) in addition to comfort above all: a real sailing experience on the Atlantic Ocean off the coast of Fuerteventura, a true natural and sailors Paradise. 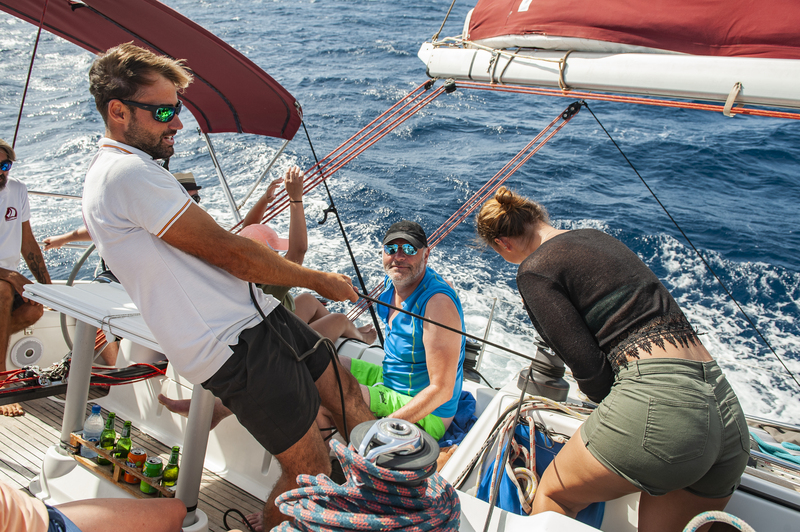 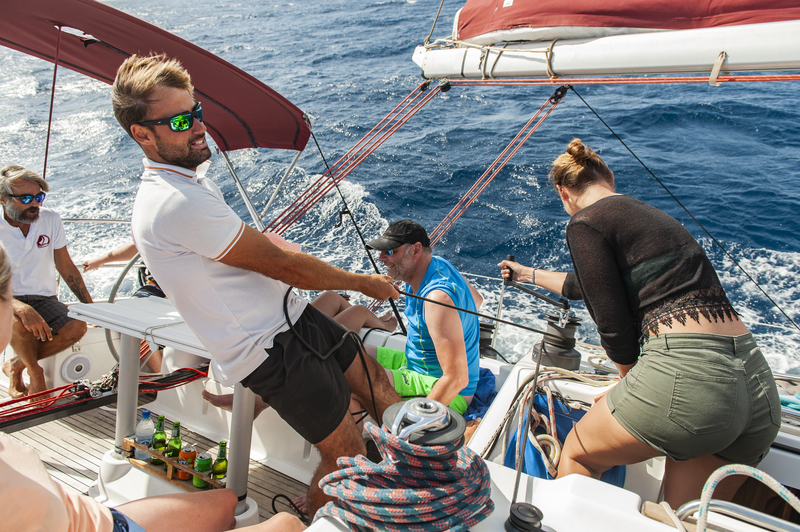 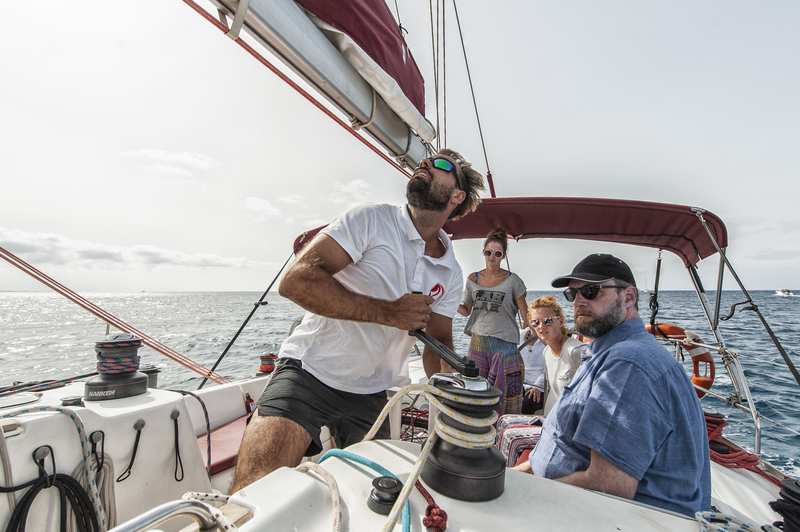 We always look forward to ambitious sailors that help us and hoist the sails – of course under the guidance of our experienced skipper. 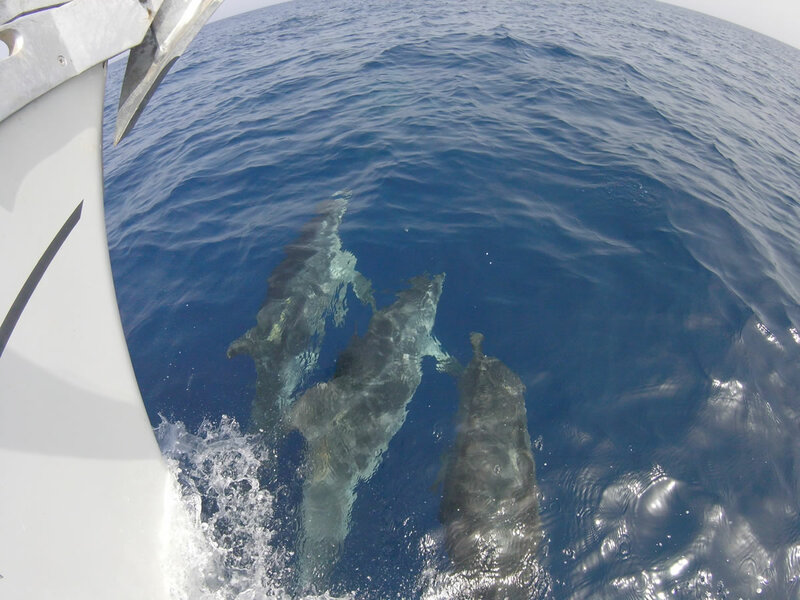 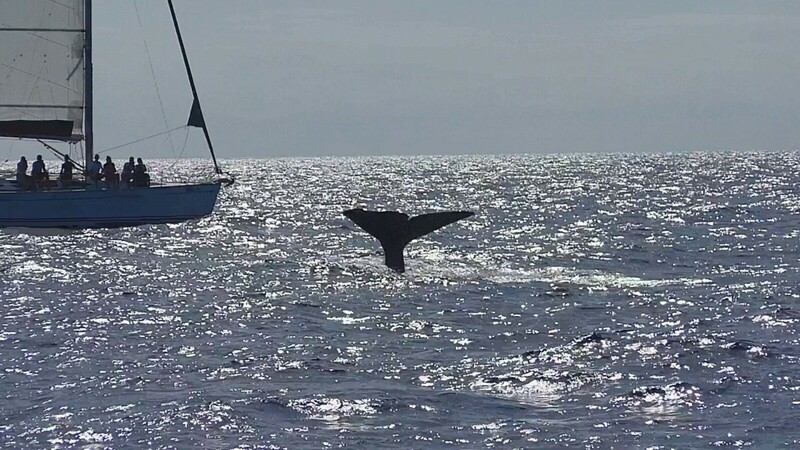 Those who prefer to enjoy the relaxing atmosphere, can sit back and relish, and, with a little luck you can spot whales and dolphins during the cruise a few miles off the coast! 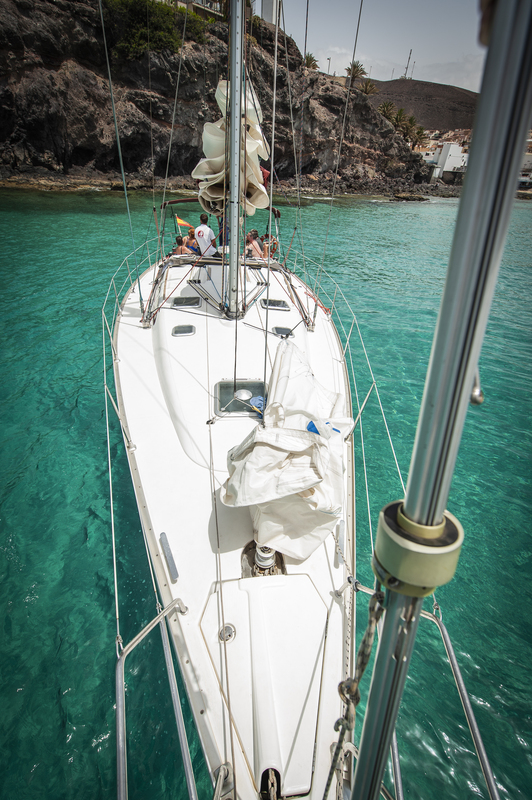 Our fleet consists of two Jeanneau Sun Fast yachts, designed by boatbuilder Daniel Andrieu. 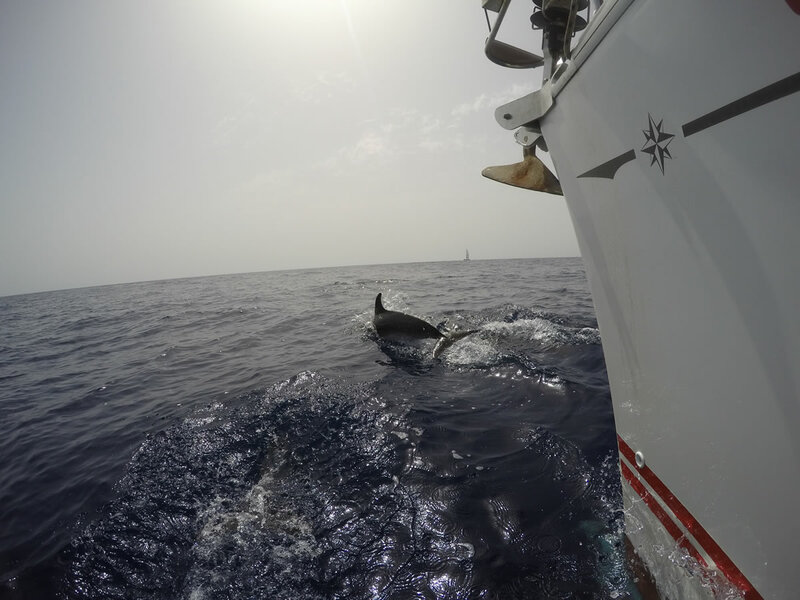 The shapely sailing yachts are ideal for deep sea journeys and promise unforgettable hours on the sea. 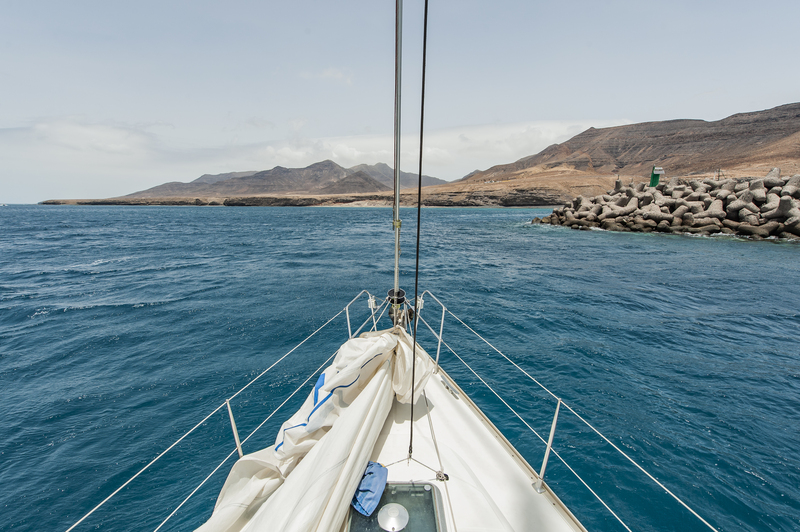 We love our ocean and the stunning scenery around the coast of Fuerteventura, we would like to show you in a private excursion. 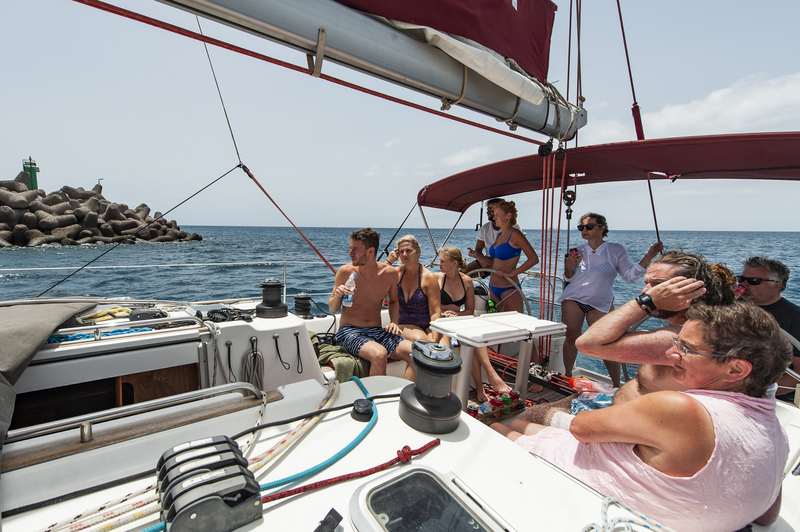 Our guests can relax, lying in the sun, enjoying their ice-cold drinks and listen to the sound of wind and water, while the boat glides through the turquoise waters of the Atlantic Ocean along the beaches of Jandía. 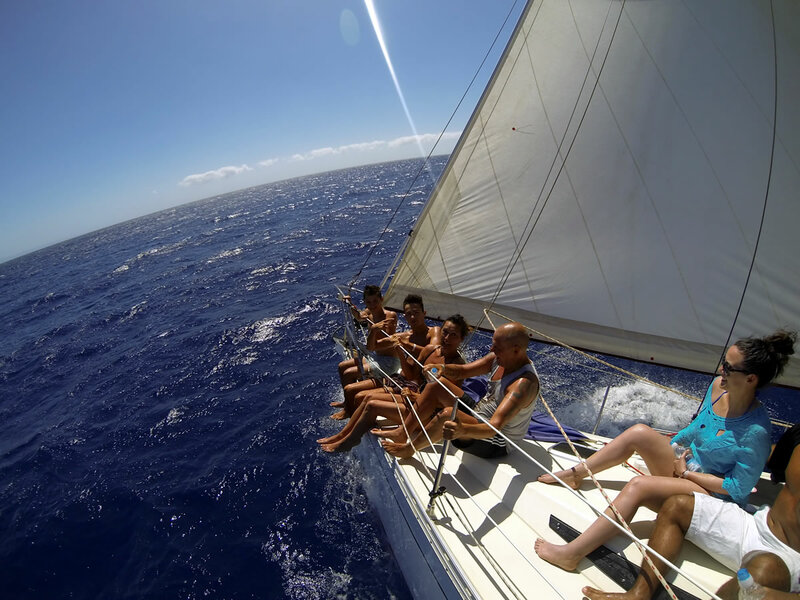 But when it comes to the far reaches of the blue ocean, they are also welcome to help setting the sails and maneuvering the boat. 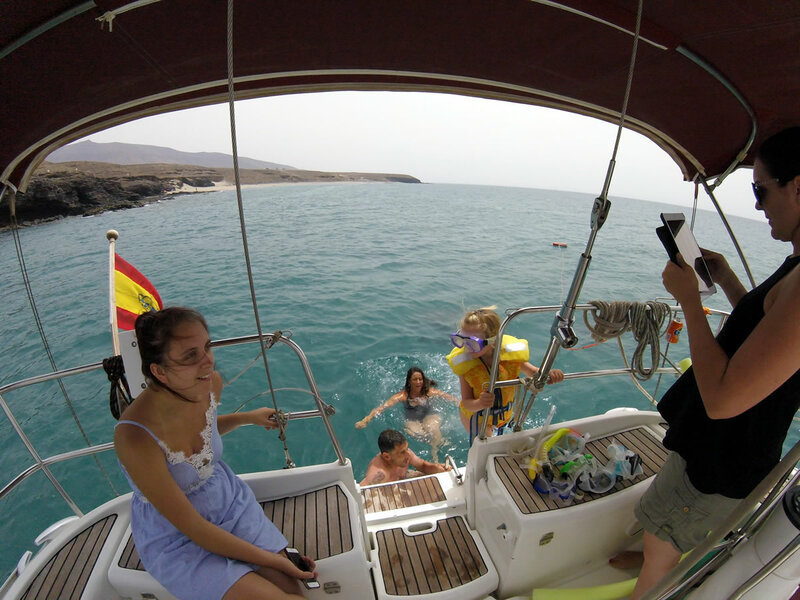 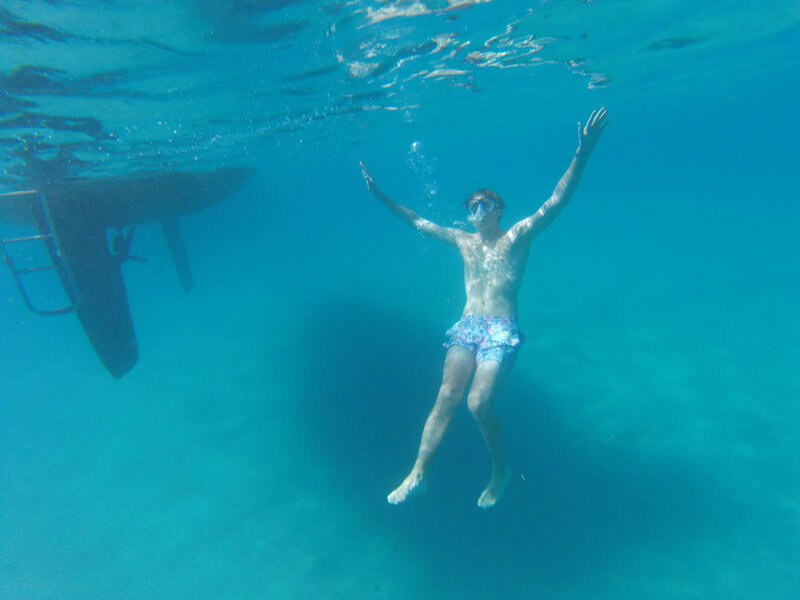 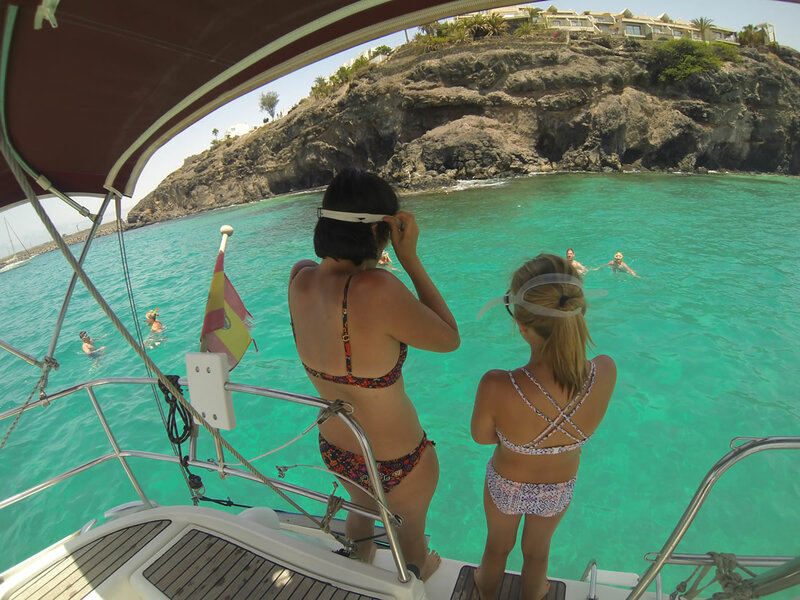 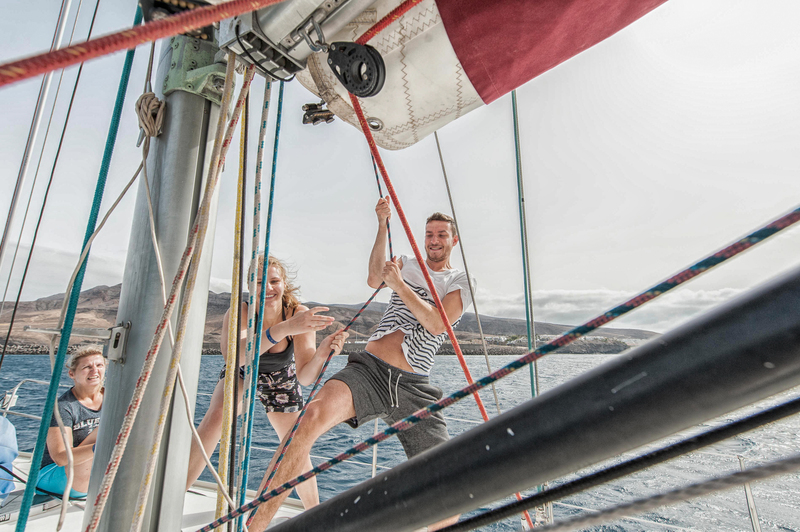 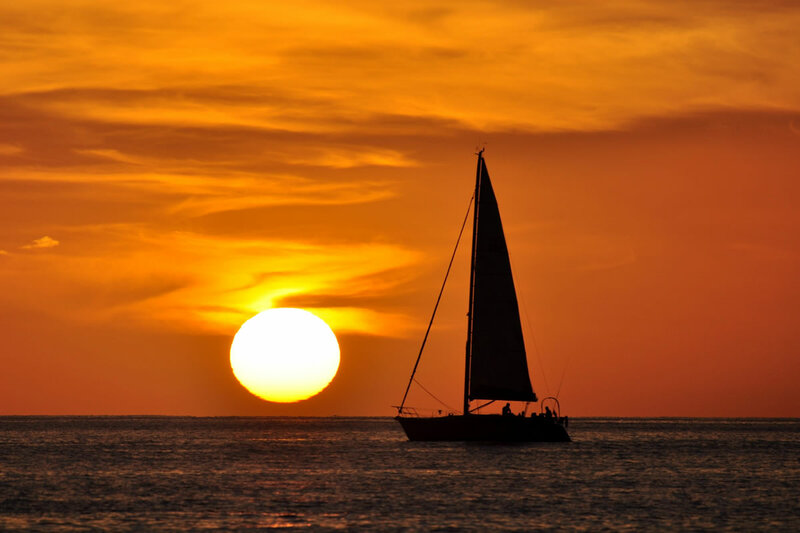 If you are looking for a fantastic adventure, seeking for relaxation and if you want to have a nice week’s holiday, we invite you to come aboard our sailboats. 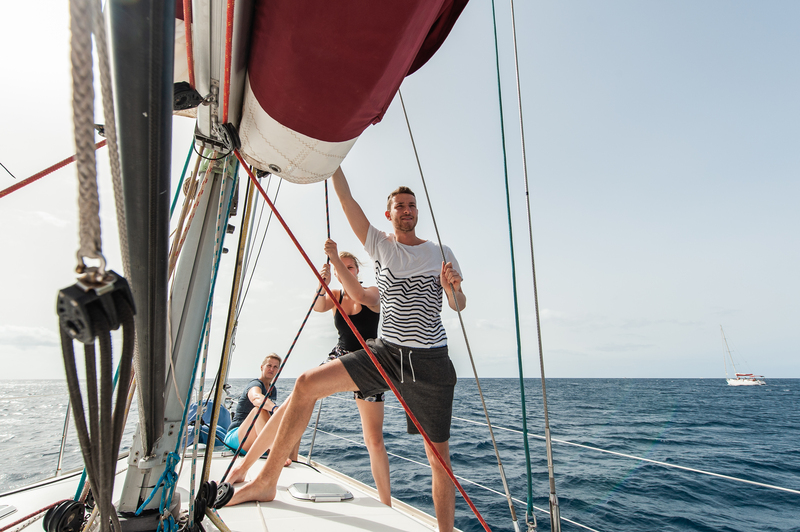 The yachts of 12 or 14 meters offer three or four cabins, depending on how many friends or family you want to take with you.